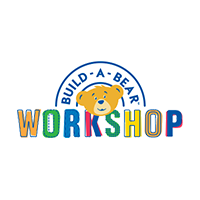 Jennifer Kretchmar, 44, joined Build-A-Bear Workshop in August 2014 as Chief Product Officer and Innovation Bear. Effective March 2016, she now holds the title of Chief Merchandising Officer. Prior to joining the Company, Ms. Kretchmar was Senior Vice President of Product and Brand Management with the Stride Rite Children’s Group of Wolverine World Wide, Inc. where since 2004 she was responsible for the global product creation strategy for a diverse portfolio of children’s footwear brands, including Stride Rite, Sperry Top- Sider®, Saucony®, Keds®, Merrell®, Robeez®, Jessica Simpson® and Hush Puppies®. Before joining Stride Rite, Ms. Kretchmar held positions of increasing responsibility at The Timberland Company, Goldbug, and the United States Department of Agriculture Foreign Service.